Dr. Nancy and Melissa discuss how difficult it has been for women to adjust to leading with the feminine. Dr. Nancy mentions that we must admit vulnerability and reach out to support each other. Melissa talks about how women put themselves last and don’t invest in their wardrobe in favor other people and things. She advises women to prioritize themselves and be authentic. Women want to lift each other up, lead each other, share, cry together or whatever it is. To do that, we must be real and not try to be more than we are or someone that we’re not. Listen to this interview to hear Melissa’s personal struggle with chronic pain and how she learned what it means to show up as your very best self. Why you need to think about your image even if you’re driving your kids to school or planning a weekend BBQ. Check out her website, melissamurray.com for more information about her presentations, her blog and testimonials about her work and her social media links. She also has an award-winning podcast, “Intentional Influence,” that features insights from professionals on all aspects of branding and image creation. Nancy D. O’Reilly, PsyD, is an author of Leading Women: 20 Influential Women Share Their Secrets to Leadership, Business, and Life and urges women to connect to help each other create a better world. As a licensed psychologist, motivational speaker and women empowerment expert, O’Reilly helps women create the satisfying and purposeful lives they want to benefit themselves, their families and their communities. To accomplish this, she devotes her energies to fulfilling the mission of the 501(c)3 Women Connect4Good, Inc. foundation, which benefits from her writing and speaking services. She established the foundation for empowering women to participate in social-profit activities and improve their careers, finances, health, and relationships. She serves on the advisory committee of the Convoy of Hope Women’s Empowerment Program of which she has become a major sponsor. Since it began in 2010, this global effort has educated 1,000 women in Ethiopia, increasing their income 240 percent. In this interview Melissa and Nancy discuss the secrets and behind-the-scenes strategies for how Melissa helps high-power professionals to brand and repackage themselves for media appearances and keynote presentations. Nancy Michaels is a contributor to the Huffington Post, American Express Open Forum, and Fabulous Female Network and has been recognized in national media such as Entrepreneur Magazine, US News & World Report, CNN-FN, Fox, Inc.com, and The New York Post, among numerous others. Prior to Nancy’s reinvention metamorphosis, she was a publicist for many high profile media professonals and worked with Tom Bergeron (Dancing with the Stars) when they were in Boston at WHDH-TV and WBZ-TV, respectively. She was also the first recipient of the Tom Peters Wow Project Personified Award, a Fast Company cover story for her reinvention work connecting Fortune 500 companies to small business customers. Nancy is the author of several books including Off the Wall Marketing Ideas with co-author Debbi Kickham, Perfecting Your Pitch, Stripped: 49 Life Lessons Learned from Almost Dying, and Dating Success After 40 with co-author Neil Wood. She was also named Small Business Woman of the Year by Women’s Business Enterprise National Council (WBENC) in 2005 – the year she underwent an emergent liver transplant along with significant medical complications. To learn more about Nancy’s fascinating life and business visit www.NancyMichaels.com. Are You Ready for your 15 seconds of Fame? 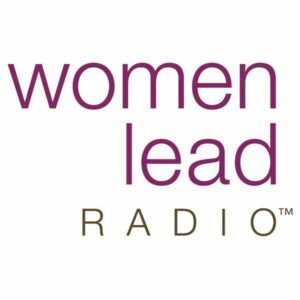 Women Leading the Way Radio Interview with Michelle Bergquist, CEO of Connected Women of Influence and Melissa Murray. Style and image takes on a whole new importance when you’re a professional woman. Are you ready for your 15 seconds of fame if called upon to speak or present or be interviewed? How are you perceived based on what you wear and how you look in business?! Listen to the Women Leading the Way Radio as we interview Melissa Murray, Image Architect and Style Expert, and I discuss why today’s professional woman needs to be “ready, set, go!” We’ll ask Melissa the biggest issues she sees with business women who miss the mark in being ready for the camera to present, speak or be interviewed. In addition, we’ll ask her what image and style really means, along with asking her why this is really important to businesswomen? We’ll wrap up the show by asking her what the consequences are of being passive about this as a professional woman…..and much more! You won’t want to miss this show! Michelle Bergquist is a nationally recognized author, award-winning entrepreneur, lively moderator and engaging, professional speaker. Currently, Michelle is the CEO and Co-Founder of Connected Women of Influence, a leading powerhouse community of b2b women owners, executives and professionals who converge and engage to build high-performing professional relationships among peers in business. Michelle is also Co-Founder of SUE Talks™, bold, passionate, talks and viewpoints on business by successful, unstoppable, empowering women changing the face of business. Connected Women of Influence (CWI) is the premier, private membership organization where business-to-business professional and executive women connect, collaborate and cultivate a vast network of high-level affiliations, resources and professional relationships. The CWI Mission is to build a strong, professional community that fosters collaboration and the development of high-level relationships, alliances and partnerships between business-to-business professional and executive women. Felena Hanson is the Founder of Hera Hub. Hera Hub is the first international female-focused coworking space – a shared, flexible work and meeting space where entrepreneurial women can create and collaborate in a professional, productive, spa-like environment. The platform provides members with connections to other business experts, access to educational workshops, and visibility within the community… thus giving them the support they need to be prosperous. She has three company owned locations in San Diego and licensed locations in Phoenix, DC, Orange County, and Sweden, with more cities launching soon. She’s on a mission to support over 20,000 women in the launch and growth of their business by the end of 2020. Catherine Behan, M.S. is a Relationship Expert, Master Peak Performanc, Success Coach, Seminar Leader and Internet Advice Columnist. She empowers women by teaching them to create a new relationship with themselves, to attract love rather than to chase after it and to enjoy romantic relationships with their men without compromising their souls. We will be discussing the impact of your appearance and image in the workplace. Proper professional attire and high incomes go hand-in-hand. If you are not making your desired salary, not getting promoted or can’t get past the first interview, perhaps it is time to look at your wardrobe. Sampson California Real Estate is a real estate company that provides high-level expertise in real estate sales in the state of California with specific focus in the San Diego Coastal Markets. The broker/owners of Sampson California Realty, Joseph and Diane Sampson, have been active in the real estate market for a combined 21 years serving all of San Diego County with an emphasis on North County Coastal. Last year Joseph had over $25 million in sales, ranking him in the Top 1% of Real Estate Agents on a National level. 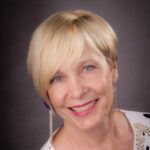 Diane, President and Co-Owner of Sampson California Realty, has close to 20 years business experience in both residential and commercial sales. As a blogger and podcaster, Debra Simpson keeps the cyberspace community informed of the activities of North San Diego businesses. She speaks throughout Southern California to small business organizations on the many ways a business can present itself on the World Wide Web and supports Solopreneurs towards success.